This photo. It makes me sob. Literally: gasping, shaking, streaming tears of relief and joy. I can FEEL that finish line in my cells. Sometimes on my runs, I’ll find myself envisioning the finish, and I can hear the announcer: “Shannon Thompson of Camden, Maine, congratulations! 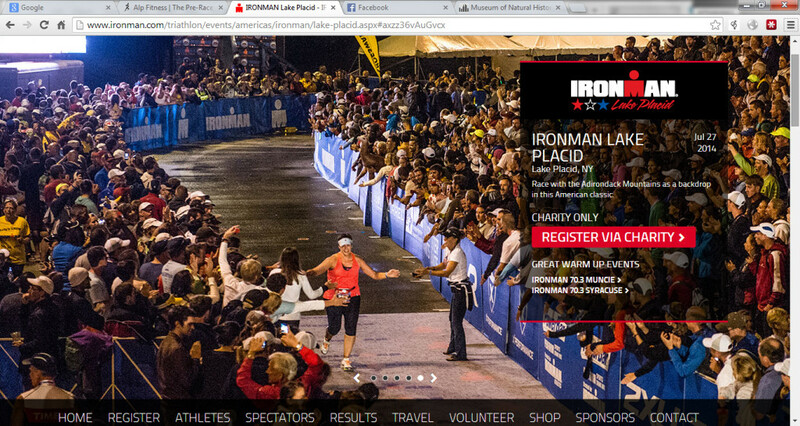 You…are…an…IRONMAN!” The crowds are going wild and I’m overcome with emotion. It’s visceral–I’m there. I cry every single time I think about it. And not just because I’m a narcissist. It’s been that way for months, even when my old injuries and my doubt made it look like I wouldn’t be able to do this. That finish line scene is so alive for me, so immediate and so real, the emotion so raw and intense, that I can’t help but believe it’s a big part of a probable future. Who knows? Anything could happen between now and then. But as long as I keep falling apart imagining it, I keep believing I’m going to finish that race. This week totals 22 hours of training. I am so tired of exercising. Just so tired. Next week we start tapering for real.